Bethesda revealed new information about when the Fallout 76 beta is scheduled to start. Today, Bethesda shared new details about the Fallout 76 beta, including when the beta will start. Right now, fans already know that Fallout 76 is scheduled to release on November 14 for PlayStation 4, Xbox One, and PC. As an added incentive, anyone who pre-orders the game will be given access to the Fallout 76 beta. Of course, up until this point, it was unclear when that exactly the beta would start. To help clear things up, we put together a quick update on when the Fallout 76 beta will start and how the beta process will work. The beta for Fallout 76 will kick off this October according to a new post from Bethesda. According to a post from Bethesda Game Studios on their community forum, the beta for Fallout 76 will start this coming October, although a specific release date and time have yet to be specified. 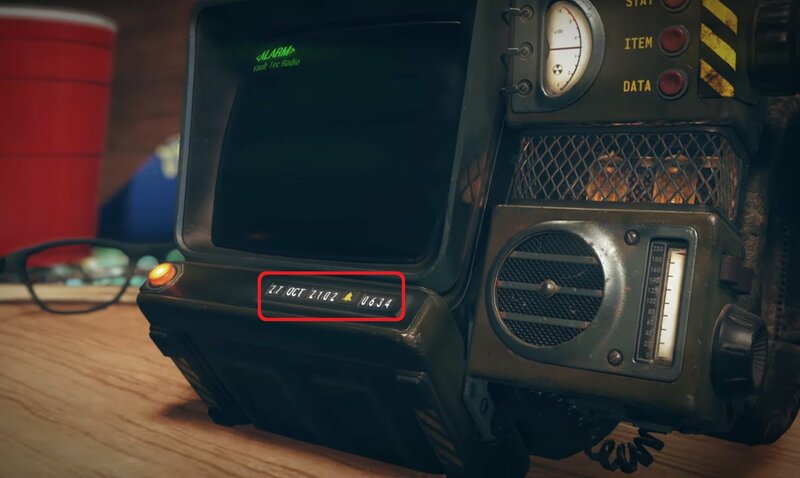 Based on information found in the Fallout 76 trailers (see above image), it's likely the Fallout 76 beta will begin on Saturday, October 27. Beta testers will reportedly be selected at random from the beta pool, which will start with only a small group before before expanding into a larger and larger group leading into the release of Fallout 76 on November 14. Note that Bethesda has confirmed the Fallout 76 beta will begin on Xbox One first before becoming available on PC and PlayStation 4. To secure your spot as a beta tester, you’ll need to pre-order Fallout 76 for Xbox One, PlayStation 4, or PC. Once you’ve pre-ordered Fallout 76, you’ll then need to locate the redemption code on the pre-order receipt or confirmation email. With this code, you can visit Bethesda’s website, log in (or create a new account), and enter your code. Doing this will sign you up for the Fallout 76 beta, which is set to start this coming October. Alternatively, you can read the full FAQ and beta instructions on Bethesda’s Fallout site. For more on Fallout 76, be sure to check out everything we know about Fallout 76, and how Fallout 76 will be available first on Xbox One. By reading through this guide, you should now know when the Fallout 76 beta will start and on what platforms.